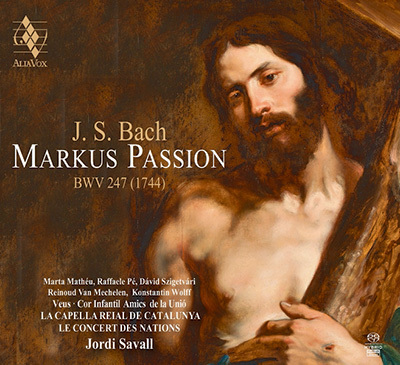 As everyone knows, Bach, the doyen of composers, wrote only two Passions, both transcendent masterpieces. Well, it turns out that is not strictly true: he also wrote a lost Mark Passion, a seemingly smaller-scale work, and the libretto by a certain Picander still exists, providing evidence as to the form the missing Passion might have taken. Following familiar Baroque practise Bach would seem to have adapted existing music including the famous Trauer-Ode, BWV198. Other elements are less certain; what is undeniable is that every recreation of the work is at least partly shaped by the views of the artists involved. When a musician of the calibre of Jordì Savall turns his attention to this kind of musical puzzle we can rely on the results being not just intriguing, but superlatively musical. We tend to think of ballet as a nineteenth century French invention—la Sylphide, Giselle—but in fact music for dance has probably always existed. Dance thrived in the 17th and 18th century French courts, and was a well-established genre, la belle danse, by the end of the Baroque, reaching its zenith under the aegis of the Sun King. In his court, dance was the preeminent artform, and anybody who wanted to be somebody had to engage in courtly dance, under the King’s critical eye. 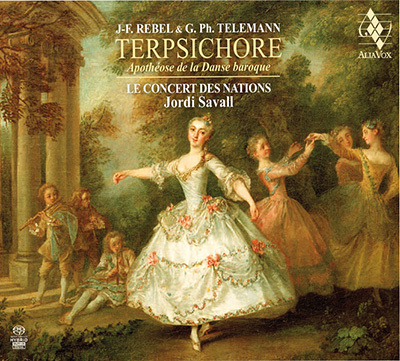 On this, their latest foray into delectable Baroque dance music, le Concert des Nations under their well-loved director Jordi Savall offer us dancerly works by J-F Rebel and Telemann with such evocative titles as la Terpsichore, les Plaisirs champetres, and la Bizarre. This music runs the gamut from stately and noble to vivacious to furioso, incorporating many of the familiar dance-forms, Chaconne, Menuet, Gavotte, Sarabande, and even a Passepied or two. Music just does not come much more charming than this. Audiences seem to like to hear that a composer’s life was difficult and his works hard-won. Perhaps that goes some way to explaining why Chausson’s music is not more widely-admired. His life was relatively easy, and as a member of the followers known as the bande-à-Franck he was always going to be appreciated. Nonetheless, he was a driven perfectionist, and his music can have a strongly brooding quality, as in the large song-cycle Poems of Love and the Sea, which the incomparable Véronique Gens sings on this new Alpha release—one of my personal favourite works. Coupled with this lovely work is his one and only Symphony, perhaps less nostalgic than the Poems, but still an engagingly serious opus, with a strong hint of both Brahms and Wagner, that compares favourably with any music being written at the time (1889-90). 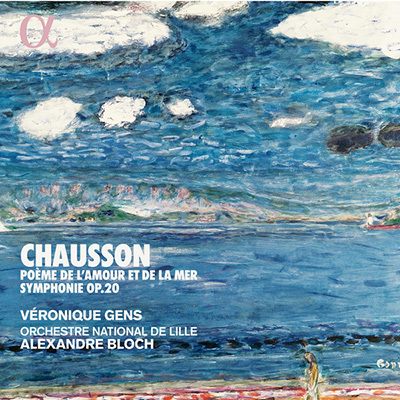 Chausson is a hard composer to pigeonhole, but an easy one to appreciate—hopefully this release will win him new friends. As the title suggests, this is a CD of music directly or indirectly connected with theatre, specifically, the theatrical directors that Nikolaus of Esterházy engaged. The program presents three Haydn Symphonies, 9, 65, and 67, all three of which began life as theatre music before being adapted into the more formal dress of the symphony. Number 9 is an early work, written while the symphony was still evolving, whereas symphonies 65 (with a slow movement that might have started as music for Hamlet!) and 67 are fully mature Haydn, rich in intelligence, charm, and remarkable inventiveness. Although the featured composer is Haydn, there is also a work attributed to Mozart, the incidental music for Thamos, King of Egypt. 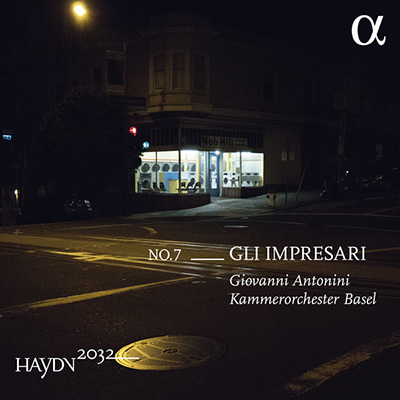 This appetising program is presented by Kammerorchester Basel, a period-instrument orchestra of long-standing, directed by specialist early music conductor Giovanni Antonini. 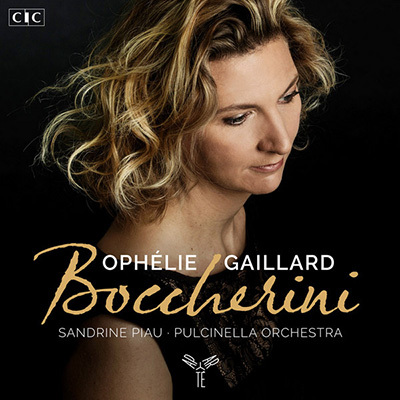 Cellist Ophelie Gaillard, soprano Sandrine Piau, and the Pulcinella Orchestra provide a well-rounded portrait of one of Classical music’s most beloved composers, Luigi Boccherini. Born in 1743, in Tuscany, he established himself in Spain, and became one of the first virtuoso cellists in history; it is no surprise that his elegant, melodic music often incorporates the flavour of his adopted country, and almost always a solo cello part. Included in this program are a Symphony (oddly, his thirty-odd symphonies do not seem to bear numbers), two Cello Concertos, the String Quintetla musica notturna delle strade di Madrid (Night Music of the Streets of Madrid) which is undoubtedly his best-known work, and a real treat, his Stabat Mater for voice and strings with Sandrine Piau. It would be hard to improve on such a happy marriage of excellent performers and delightful music. In a market crammed with recordings of the Fauré Requiem, it is very pleasing to be able to point to one that distinguishes itself. Pairing the Requiem with Poulenc’s secular, a cappella cantata Figure Humaine, and Debussy’s diminutive Trois Chansons de Charles d’Orléans, makes the point that this is not specifically a sacred work, but a very personal meditation on mortality. 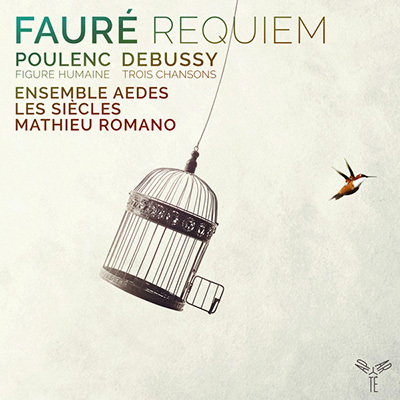 Ensemble Aedes have attempted to capture the sound of the Requiem as first performed, the earlier, more organ-dominated orchestration is used, and the Latin is French-inflected. Their approach brings out the very best in this beloved work, and the performance is eloquent and accomplished. The Poulenc cantata Figure Humaine is hardly less substantial, setting texts by Paul Éluard written during WWII, expressing the “suffering of the people of France” and is considered by some to be Poulenc’s greatest achievement. Closing this otherwise rather movingly introspective recital with Debussy’s lovely choral songs is a stroke of brilliance, providing a burst of vivacious optimism to take away with us. Nineteenth-century Russian musical history is replete with virtuoso pianists, from Balakirev to Rachmaninov. One of the most startlingly accomplished even amongst this amazing crew was Gregory Catoire, whose teachers included a friend of Wagner, Klindworth, as well as Rimsky-Korsakov and Lyadov. His highly romantic music is still not well known, but on the strength of the chamber works it is bound to gain in reputation. Ignaz Friedman is even less well known as a composer (although the Sydney Conservatorium still offers an Ignaz Friedman Prize for composition) whereas his reputation as a pianist is colossal—he was compared in his lifetime with Lhevinne, Hofmann, and Godowsky. His music is as you might expect very conservative, in the great nineteenth-century tradition. These are both very substantial works and should appeal to anyone who likes ambitious and accomplished high romanticism. 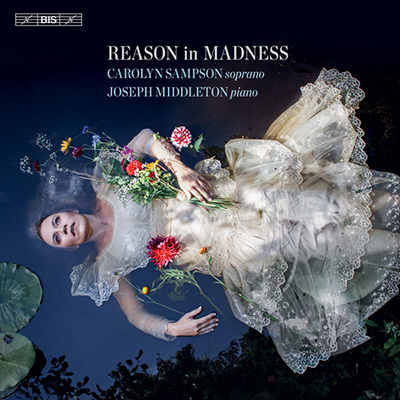 Described as “an exploration in song of themes of love and madness:, Carolyn Sampson’s new recital with pianist Joseph Middleton covers a remarkable amount of ground, from the mesmeric melancholy of Schubert’s Gretchen at the Spinning Wheel, to the rich harmonies of Charles Kœchlin. In between are a cross-section of the finest song-writers of the last 200 years, including a couple with first-hand experience of mental imbalance, Schumann and Wolf. Themed recitals are common these days, but rarely are they quite this interesting or musically varied, not to mention exquisitely sung. When he was a young man Manuel de Falla wrote a series of five zarzuelas, Spanish folk-operas (of which only one was ever performed), but his first opera proper was la Vida Breve, Life is short, which was written in 1904-5 and only premiered almost a decade later …then rewritten almost immediately, supposedly in response to Debussy’s criticism. It is an odd work, consisting of as much instrumental as vocal music, and listeners may find they are familiar with some of the music due to the continuing popularity of a few colourful excerpts. 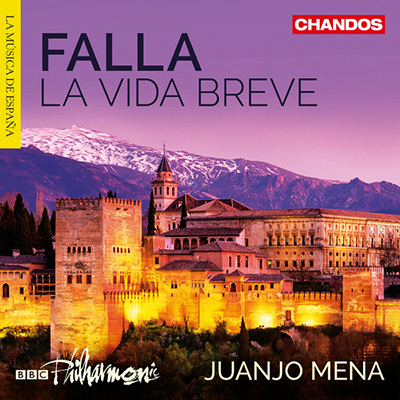 Although it was Falla’s first major achievement, la Vida Breve is rarely performed even today, and it is pleasing to have the opportunity to hear it in its entirety: as the conductor, Juanjo Mena says, “Manuel de Falla’s La Vida Breve is the highpoint of Spanish opera”. With a cast of singers who are all native Spanish-speakers and the BBC Philharmonic, this recording will hopefully win more admirers for Falla’s neglected breakthrough work. It’s 150 years since Berlioz died and the celebratory releases continue to flow. Religious music is noticeably absent from his output, and he is inescapably linked with the demonic—Witches Sabbath from Symphonie Fantastique, Damnation of Faust—so it is remarkable that he also wrote one of the most affecting and beloved oratorios of nineteenth century French music, the Childhood of Christ. The music has all the descriptive immediacy we expect from Berlioz and is couched in a gentle idiom that astonished and delighted its first audiences. 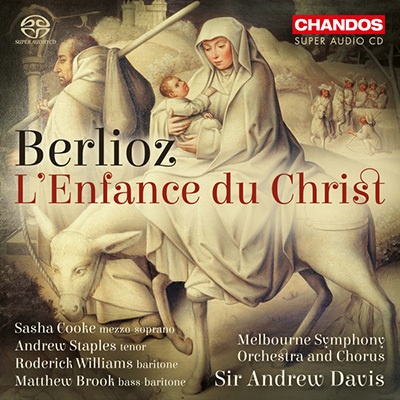 Although Sir Andrew Davis is not a relative of Berlioz-specialist Sir Colin Davis, he brings all the necessary sensitivity to directing this Sacred Trilogy. The Melbourne Symphony Orchestra are joined by a plethora of talented singers, including renowned baritone Roderick Williams. For some reason there is a tradition of near-sightless musicians becoming fabled organist-composers, among them Cabezon, John Stanley, and in our time Jean Langlais and Louis Vierne. Vierne shared his mentor Franck’s ecclesiastical bent, becoming organist of Notre Dame, and it may be this apparent focus on the organ that has led to the neglect of his concert music—a fate which also befell his contemporary Widor. Despite being an almost-exact contemporary of Ravel, Vierne’s music is couched in a fairly conservative musical language. 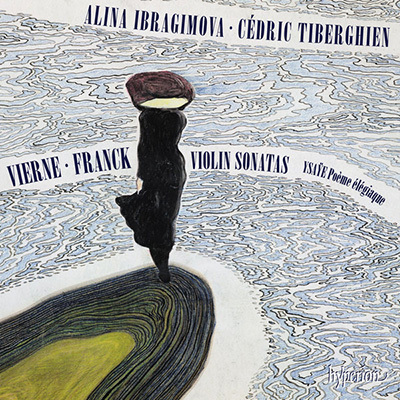 His Violin Sonata, recorded here alongside that of Franck by Alina Ibragimova and Cédric Tiberghien, is a muscular work, with a perhaps unexpectedly broad range of moods, from the limpid Andante to the flickering Intermezzo, but the stand-out is the powerful Allegro first movement. Ibragimova and Tiberghien complete their satisfying recital with a sizeable Poème by Ysäye—who premiered both the Franck and Vierne Sonatas—and a delightful Nocturne by the teenage Lili Boulanger, herself a Vierne pupil. It is gratifying to see women composers being accorded more visibility by record labels. 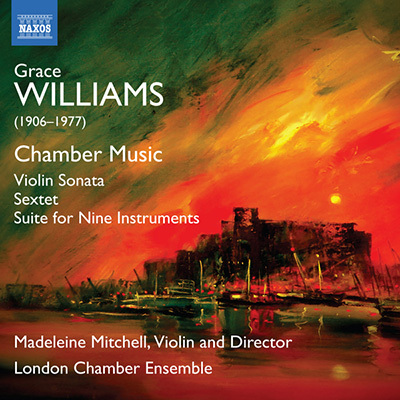 This month Naxos have released a collection of chamber works by Grace Williams, best known for her Fantasia on Welsh Nursery Tunes. Like her younger contemporary Ruth Gipps, Williams studied with Vaughan Williams, but lessons with Egon Wellesz provided a slightly more astringent quality to her work. The works recorded here are substantial, engaging and distinctive; the Sextet for oboe, trumpet, and piano quartet, in particular, is outstandingly charming. I look forward to hearing more. 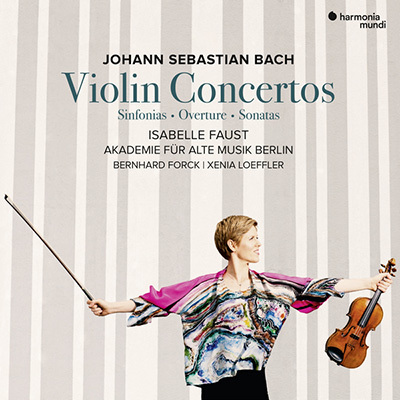 It is true that we live in a golden age of Bach performances, but even among those Isabelle Faust’s releases stand out. Bach clearly had an affinity with string instruments—he is known to have played violin and gamba—and Isabelle Faust has a flair for playing Bach. Her recordings of the Sonatas and Partitas (HMC902059 and HMC902124) are already regarded as “benchmarks” and after a CD of the Violin and Harpsichord Sonatas she now turns her attention to the three great Violin Concertos, BWV 1041-3, including the universally-loved Concerto for two violins in D minor. In addition to these core works Faust also presents on this double-CD a group of pieces that constellate round them, including the well-known B minor Orchestral Suite and D minor solo Violin Concerto BWV 1052, and a Concerto for Oboe and Violin, with Bach specialist Xenia Löffler on oboe. Indispensible. 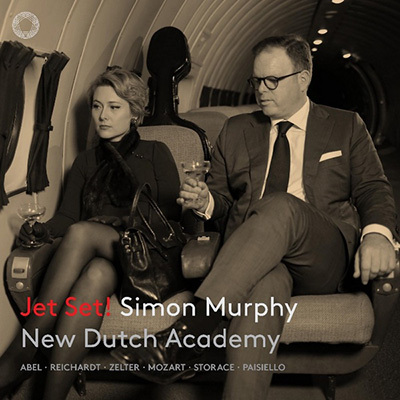 Simon Murphy and his New Dutch Academy have spent years exploring the rather forgotten repertoire of the late Baroque and early classical period, and their most recent disc celebrates the immense vitality of these composers. While they were not exactly the pop-stars of the time (the castrati probably still held that role) they nonetheless swept through Europe spreading the word—hence the Classical Glitterati! Almost equally divided between the familiar, Mozart and Paisiello, and new discoveries from Abel, Reichardt and Storace, the New Dutch Academy’s program “features music which abounds in enlightened positivity, radiance, inventiveness, energy and inspiration”. The composers in the late-18th century had an unstoppable confidence in their newly forged style which swept classical music forwards, culminating in Beethoven, Schubert, and the early Romantic revolution. 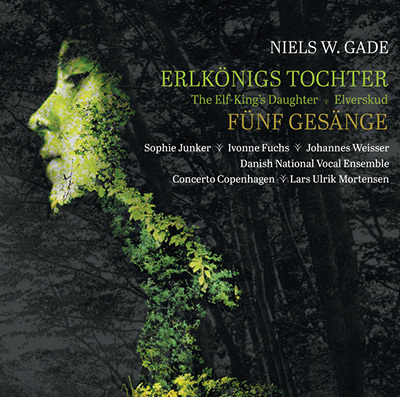 Although the pre-eminent Danish composer of the 19th century, Niels Gade was particularly popular in Germany, which is why these two characteristic works of his have German texts. Erlkönigs Tochter (the Elf-King’s Daughter) from 1854 is a dramatic cantata in three parts, a substantial work cast in an early romantic musical language—and very lovely it is too. Performed here with period instruments, the cantata is revealed as a substantial and engaging work, clearly revealing why it was such a huge hit in its day. 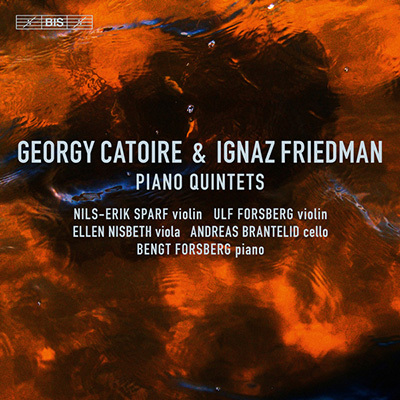 On this new da Capo CD, following on from an LP release last year celebrating Gade’s 201st birthday, the Danish National Vocal Ensemble also perform Gade’s a cappella Fünf Gesänge. The rediscovery of Gade’s delightful music makes the perhaps surprising point that while we think we have the measure of 19th century music there remains much yet to be discovered. 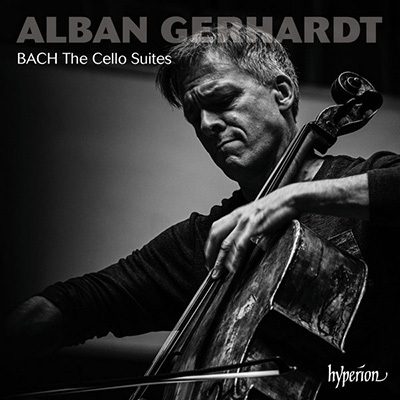 In preparing his recording of Bach’s Cello Suites, among the most familiar of all Classical music, Alban Gerhardt has returned to basics: where and when were they composed, what was Bach intending with these works, who were they written for? Among his conclusions is that the works belong to the improvising tradition that Bach as an organist was heir to. There are already many recordings of these superlative works, but there is always room for another: Alban Gerhardt brings his distinctive musical personality to bear, describing them as “transcendental beauty paired with an enchanting simplicity”. 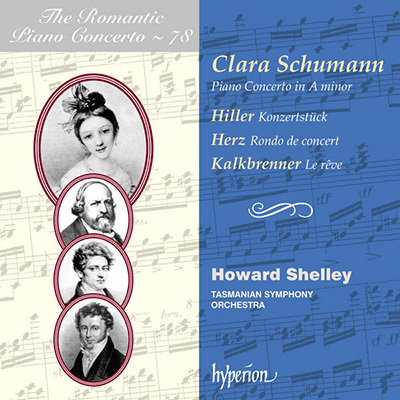 There are three smaller accompanying pieces on this CD, by men at the height of their careers, Hiller, Hertz , and Kalkbrenner—all three have their own separate releases in the Romantic Piano Concerto series, and all their works are deserving of interest. But the fourth work on this, amazingly the 78th release in the series, is the Piano Concerto by Clara Schumann, begun when she was only 14 and completed over the following year. The three other composers were influences on Clara’s style, hence their inclusion, but her originality and accomplishment are already strongly evident in the Concerto, emphasising her individual-mindedness. This is an important release not only for reminding us how significant an influence Clara’s Concerto was on her future husband Robert’s well-loved Piano Concerto, but also for alerting us to the many famous woman pianist-composers that we have forgotten, including Clara herself, Fanny Mendelssohn, Cécile Chaminade, and Marie Jaëll. Now that Clara’s own music is gaining greater attention we can begin to appreciate just how important a figure she was in 19th century music, for her own sake, not just as the “woman behind” Schumann and Brahms. As perhaps befits her first CD for a new label, Magdalena Kožená has returned to her roots, giving us a program of scenes from secular cantatas on tragic love, a favourite subject of Baroque composers, hence the title the Garden of Sighs. She is joined in this colourful program by Czech early music orchestra, Collegium 1704, who are not only excellent performers in their own right, but act as a repository of virtuoso players who work with other ensembles. Of the composers, only two are familiar, Handel and Benedetto Marcello, while Leonardos Vinci and Leo have only recently come to notice—the last figure, Francesco Gasparini, is even now undeservedly obscure. All five are outstanding practitioners of Italianate late Baroque expressivity, and Ms Kožená is the perfect interpreter of this highly dramatic music. Now this is an extraordinary release—a reconstruction, for those of us too young to remember one (which is most of us these days)—of an English coronation service from the 20th century. The monarch being crowned is, for the purposes of this CD, a King, and the order of service dates from 1937. Between the Elgar Coronation March from 1911, and the glorious Crown Imperial of Walton from the 1937 and 1953 coronation services, the entire ritual unfolds in epitome, calling on Luther harmonised by Bach, the Litany by Tallis, various anthems by Parry and Handel (Zadok, of course! ), Byrd, Gibbons, and S. S. Wesley, a Pomp and Circumstance, the Vaughan Williams Mass in G minor, and several fanfares. It is impossible to do justice to the richness, variety, and, well Englishness, of this pageant of iconic music. 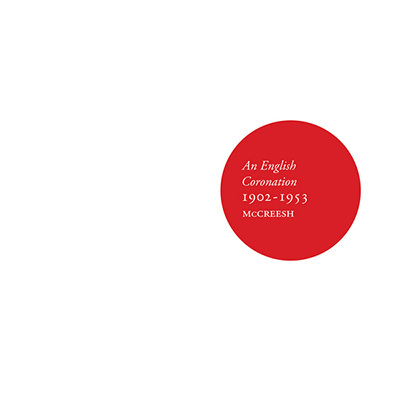 Anyone with half an ear for the most glorious celebration that the English are capable of will revel in this release. Not only that, it is presented with suitable extravagance by Paul McCreesh and the Gabrieli Consort and players, who honed their skills performing such vast works as Berlioz’ Requiem and Britten’s War Requiem. Go on, spoil yourselves! There is a strange synchronicity about some CD releases. 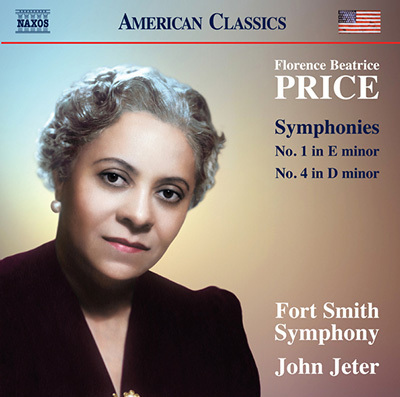 Having spent six months doing occasional research on the relatively obscure music of Florence Price, I was notified of a forthcoming new release on Naxos featuring two of her lovely symphonies. Price (1887-1953) was the first African-American woman to be acknowledged as a symphonist, and have a work performed by a major orchestra. Black American composers have not yet achieved anything like the level of appreciation they deserve, from Nathaniel Dett to Coleridge-Taylor Perkinson, so it is very gratifying to see Florence Price receiving renewed attention. Like her contemporary William Grant Still, Price’s music has a grounding in Dvorak and Spirituals, but her composerly voice has been described as ‘urban vernacular’, with a hint of Duke Ellington. Call it what you will, her music commands attention. Copyright 2019 Select Audio-Visual Distribution Company Pty Ltd.